Yannick Craigwell doesn't need to guess how large the Canadian appetite will be for edible pot once it's legal. He already knows — it's huge. "Once it becomes legal, I think the only thing that's going to change is you're going to get the people who were raised to think ... 'Weed is bad, it's the devil's lettuce,' and they're going to be open to trying," he said. "It's not really anything to be afraid of, but we are stigmatized by the laws that we have on the books." In the meantime, despite them not yet being legal for recreational use, edibles producers already shipping products to Canadian addresses appear to be trying to achieve a legal grey area. Detailed terms and conditions on the Treat and Treats website, for instance, require that the buyer agree they have solicited the product from the company, and that they know the purchase without a prescription is illegal in Canada. Canada's cautious approach stands in contrast with Colorado, which had practically no restrictions when pot treats hit stores in 2014. The Rocky Mountain Poison and Drug Center received 87 marijuana exposure calls about children that year, nearly doubling the previous year's total, though no children died. The statistic grabbed headlines and pushed the state to introduce regulations in 2015. 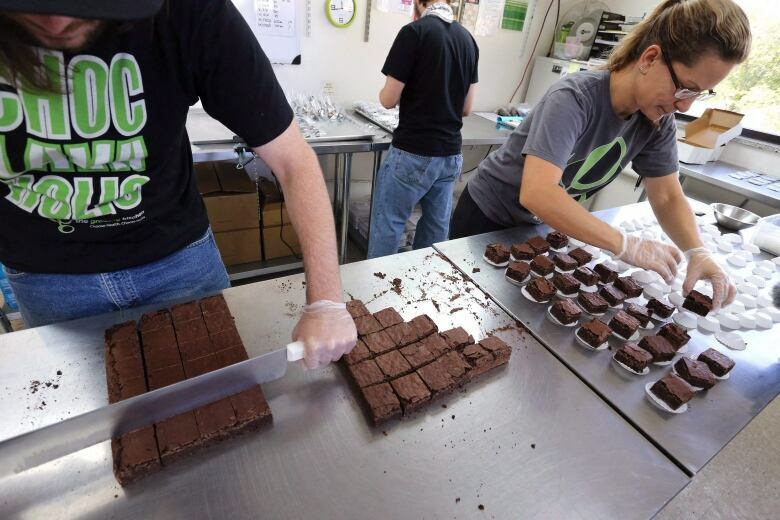 Edibles must now be contained in child-resistant packages, stamped with a universal symbol and divided into servings of 10 or fewer milligrams of THC, pot's psychoactive ingredient. They also can't be shaped like animals, fruit or people. Health Canada is considering requiring a standardized cannabis symbol on labels and banning product forms, ingredients and flavouring agents that appeal to kids, said spokesperson Tammy Jarbeau. Previously introduced regulations already require marijuana to be in child-resistant packaging. The effects of edibles take longer to be experienced and last longer than those caused by smoking cannabis, she said, putting users at risk of overconsumption. And since edibles can look like normal food, there's a risk that children and pets will accidentally eat them, she added. "These two issues point to the need to control the amount of THC in edibles, as well as the need for measures to ensure that edibles are appropriately packaged and labelled." It's illegal for anyone other than a licensed producer to sell medical pot, but Craigwell said he operates in the "grey." 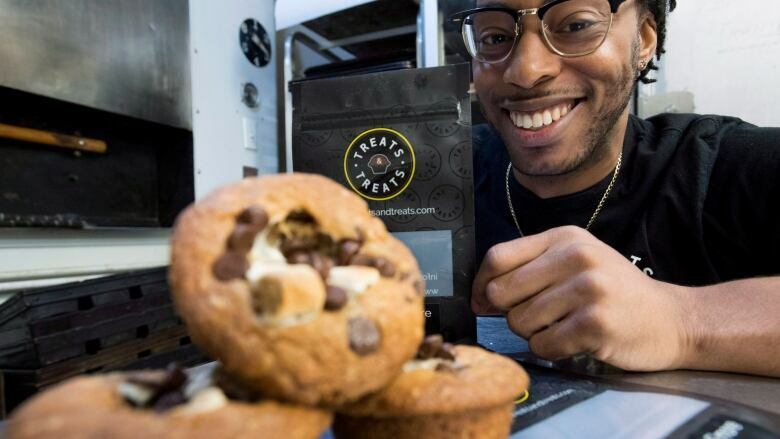 He requires online buyers to agree to terms and conditions that state they need cannabis for medical reasons and he also sells his edibles in dispensaries in Vancouver, where police have chosen not to crack down. 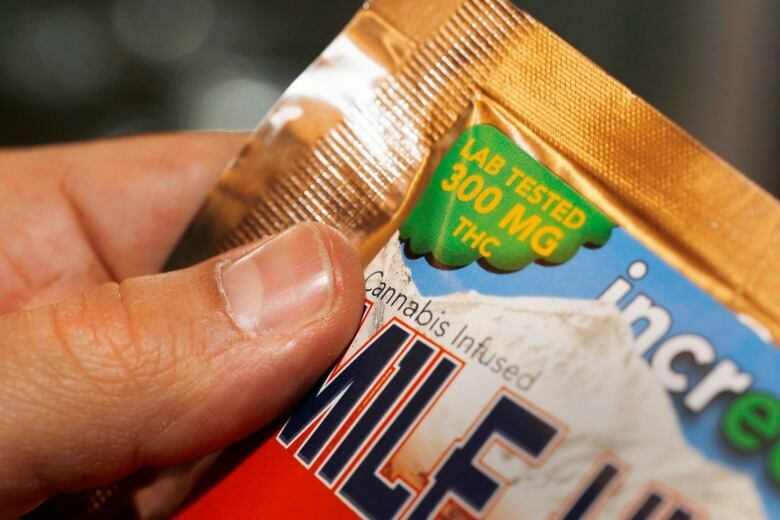 A standard dose of THC in Colorado is 10 mg, but Craigwell's goodies range from 90 mg to 175 mg. He said he's open to the government mandating a lower dose, but it should consider what customers want. "All you're doing is risking them going into the black market," he said. "My business model won't succeed if I don't have customers." "Start off with a quarter. Work your way up to a half, and then a whole." "We found that it was really a product category — baked goods, chocolate, candy, beverages, honey, (ice pops) — that is much more accessible," she said. Bruce Linton, Canopy's CEO, noted it's already common to socialize over a beverage. "At five o'clock, do you want to meet for a gummy bear or a glass of wine?" he asked. But Wendschuh said developing a product prior to its legalization has its challenges. He can't currently taste-test the beers in this country. "It's been absurd," he said. "In Canada, we can make this product … but no one's allowed to drink it."